The Workplace Relations Commission ruled that the question discriminated against her on the grounds of age. THE OPERATORS OF the country’s top fee paying tourist attraction must pay out after an unsuccessful job applicant was asked at interview how she would settle into a ‘young’ workplace. In the case, the Workplace Relations Commission (WRC) ordered the Guinness Storehouse Ltd to pay the woman €2,000 after it ruled that the question discriminated against her on the grounds of age. WRC Adjudication Officer, Roger McGrath stated that there is no doubt that the woman was asked about how she would settle into a “young” workplace. The woman was one of 136 candidates that applied for the role of financial assistant and nine were called for interview. McGrath stated that a younger candidate was successful and he found that she was treated less favourably than a younger candidate comparator. McGrath rejected the Guinness Storehouse contention that the question asked at interview about the “young and vibrant” work environment did not indicate an intention to discriminate against the woman on age and that she was reading too much into a few words. At the hearing, the woman stated that she lodged her claim as a matter of principle and to prevent things like this happening in the future. The woman stated that she was taken aback by the question but answered it as best she could. She then stated that her general reply to the question was along the lines of, “I’m young at heart, I don’t look my age, I have a 24-year-old daughter, I am experienced at work and work well with all colleagues, regardless of age,”. The woman stated that she found it difficult to concentrate for the remainder of the interview as she was in disbelief of the question she had been asked. She then stated that she could not understand why the Human Resources Business Partner who was on the interview panel had not intervened. The complainant said that she felt very aggrieved by how the interview was conducted and stated it has left her feeling very apprehensive when attending other interviews. After she failed to get the post, the Guinness Storehouse told her that the interview panel felt she was “over qualified” for the position but would be positive towards her for any future more senior financial roles. 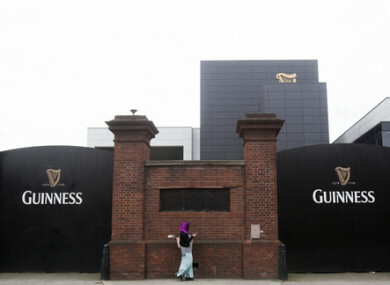 In its evidence, the Guinness firm denied that it had discriminated against the woman. The Diageo company denied that the allegation in question was put to the candidate during her interview at all during the recruitment process and it further denied that any discriminatory ground informed the firm’s thinking and decision-making. The firm also denied that any question was put to the woman with any intention or purpose of being discriminatory on the grounds of age. The interviewer accepted that that she had asked a question using the word ‘young’ and this was in reference to the culture of the workplace. She denied that she had said, “I shouldn’t be asking this…”. At the hearing, when asked what exactly she meant by young, the interviewer stated that she should have just said ‘fast paced’. The interviewer stated that she did not want it to sound discriminatory and it had no impact on the selection. Email “Guinness Storehouse ordered to pay woman €2,000 after questioning suitability for 'young' workplace”. Feedback on “Guinness Storehouse ordered to pay woman €2,000 after questioning suitability for 'young' workplace”.